Uniquely Designed Two-Sided Bar Features Beautiful Hand Painted Designs. 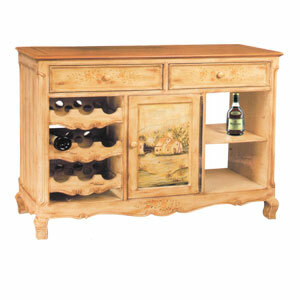 Features Includes Two Pull Out Drawers, A Shelf, And A Wine Rack. Strong Construction. Easy To Assemble.